The column is one of the more important accessories in the ceramic machine. Its function is multi-faceted. For example, it will support the upper beam of the ceramic machine and the oil cylinder, and also bear the tensile force during work. To a guiding role, so the quality of the column has a certain impact on the performance of the entire ceramic machine. 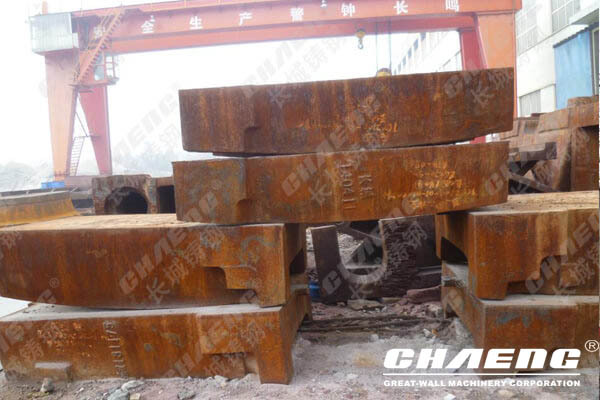 Therefore, customers need to choose the products produced by large foundry manufacturers when selecting the column, and Great Wall Cast Steel has already provided the processing and production of ceramic machine columns for many well-known forging manufacturers in China. Chaeng is selected from high-strength materials during processing, as well as its own unique heat treatment technology and water glass sand casting process. We can ensure that the wear resistance of ceramic column can also be targeted and weight-reducing. There is an effective control of the weight of the ceramic machine to further increase the size of the workpiece. The company's technical team is a group of well-known foundry manufacturers from China, with more than 10 years of experience and technology, mainly responsible for the company's technology and process and management, can establish a relatively complete set of technology and production aspects. Operational management can effectively manage the quality of products required by customers and delivery time. We have complete casting and processing equipment, testing equipment and flaw detection equipment, which can guarantee the appearance and quality of the products. After years of development and innovation, the market size of the ceramic machine column produced is also constantly expanding,the well-known enterprises will choose us for production and processing. Welcome domestic and foreign customers to come to consult.